The applicants came from all District 29 areas: Germany, the Netherlands, Spain, United Kingdom, France and Tara Heuzé, the French candidate was clearly selected as the District winner with 1000 euros as well as a 1000 $ from Zonta International. Tara from Paris is pursuing her studies in International affairs at the prestigious Columbia University in New York where the costs are very high and the Zonta scholarship contributes to pay the dues. Jane M.Klausman Scholarship, Women in Business: In order to encourage more women to continue their challenging studies and to aim for an ambitious career, Zonta International created this scholarship in 1998. 32 ZI regional and District awards are given every year. For a long time there had been no French candidates but now French applicants are regularly present in the race with a first District 29 winner Annabelle Libeau in 2013. One more reason to encourage our French clubs to know this award better and support the candidates!!! Who is our District winner 2016? 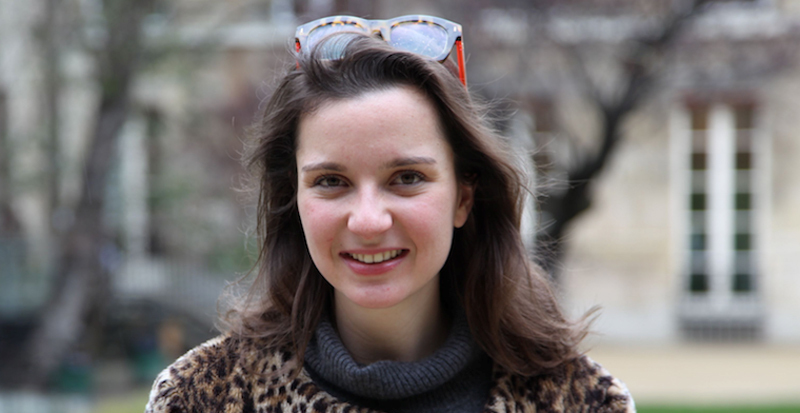 During a first internship in an investment fund Tara Heuzé worked on financing a photovoltaic power plant in one of the poorest African countries allowing a five times higher electrification rate for this country. This concrete case convinced her that global responsible investments could make a real difference on a local level. Tara becomes aware of the enormous challenges waiting for her generation. She considers green financing an efficient means to attain more sustainable development. Accepted as one of the lucky few in a double cursus at “Science Po” Paris and “Columbia University” New York, Tara pursues her studies in energy and environment after a first master in finance at the University of Cambridge. With her professional project in socially responsible investment Tara realizes the importance of the financial sector issues highly dominated by men: in 2015 less than 10% of the money managers were women. Tara Heuzé has the ambition to have a long-term impact with her professional career but she also wishes to have an immediate one in her daily life. Active in Cambridge as a student in different initiatives supporting women, she becomes aware of a widely spread but rather taboo issue, the lack of menstrual products for homeless women. Back in France she founds “Règles Eléméntaires” in 2015, first association of this kind in France which has collected until now more than 53.000 menstrual products that were redistributed to homeless women in the Paris region in cooperation with a professional organization. «Règles Elémentaires» is developing with a young dynamic team and various partnerships have been established with Zonta Club Paris Etoile, ZC Meaux and some municipalities of Paris. The goal is double: to tackle this cruel and permanent shortage for women on the streets and also to raise awareness as to the shameful conditions related to this taboo subject. Tara’s career as well as her volunteer commitment which she has started very young are in line with the Zonta missions and values and we can be proud of this winner who identifies with the slogan “a more ecological future starts with women”.